Transforming government services and the departments from which they are delivered is the number one challenge facing us over this parliament. In my department, the Home Office, it represents the most significant period of change we’ve experienced in our two-century history. Every person, in every team, across every business area will be a part of this journey as we become a leaner and more adaptable organisation. We can’t do this alone, no department can. We need the support of our colleagues, and as such must foster a new era of cooperation and collaboration across Whitehall. 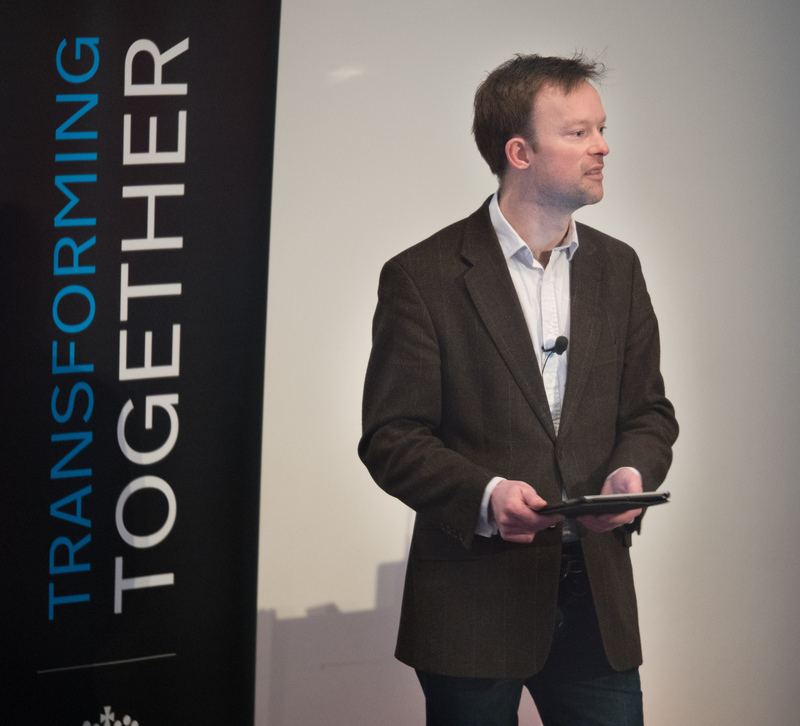 Following discussion at the cross-government Digital Leaders forum, chaired jointly by DWP DG for Transformation Kevin Cunnington and GDS Director of Digital Chris Ferguson, we have created the Transforming Together series. These events are an opportunity to bring together a deeper team from across more departments, and start to share our experiences, challenges, and successes. 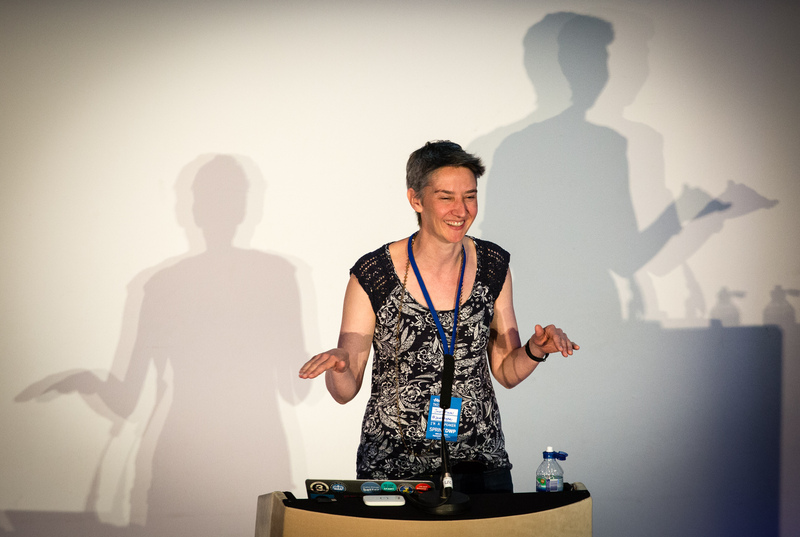 The first event was last November and was jointly hosted by DWP and GDS. I was delighted to take to the stage to host the second event and to set the day’s theme of “So much more than digital”, to reflect that business transformation is not only a technology challenge. I invited Richard Sargeant, Director for Digital and Data Transformation, from the Home Office Transformation Directorate to join me in delivering the keynote address. We spoke of the changes needed in the Home Office to respond to the evolving nature of the threats we face, and to the increasing mobility of the global population. Our transformation planning is built around the four pillars of Digital, Data, Demand management, and People. 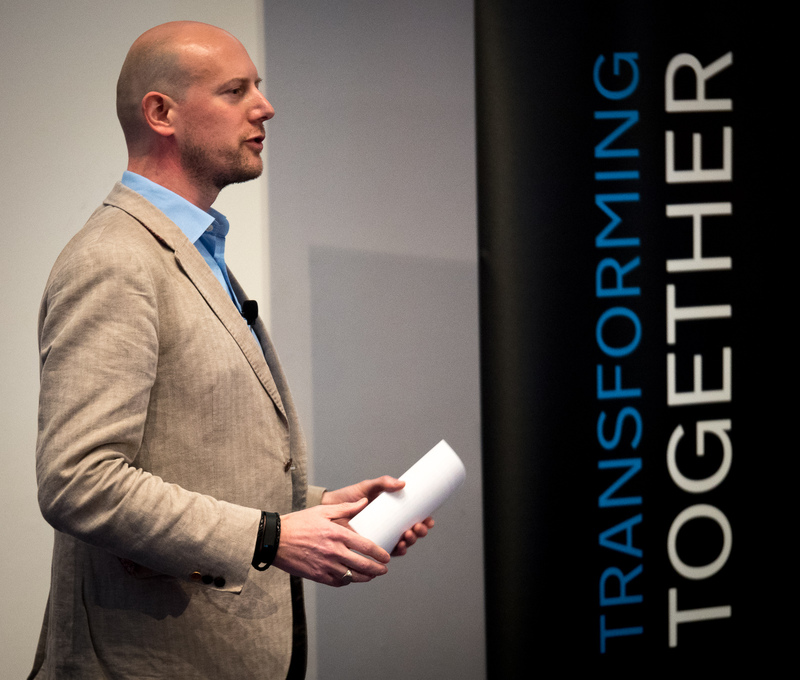 We shared the importance of a consistent message and brand for the transformation narrative – our organisations are change-weary, and we must differentiate the transformation journey from “change as usual”. DWP’s Head of Business Design Andrew Besford took to the stage next to share how departments are already changing government through collaboration, and introduced seven key characteristics which the transformation community from across government believe are critical to success: Vision, Design, Plan, Leadership, Collaboration, Accountability, and People. 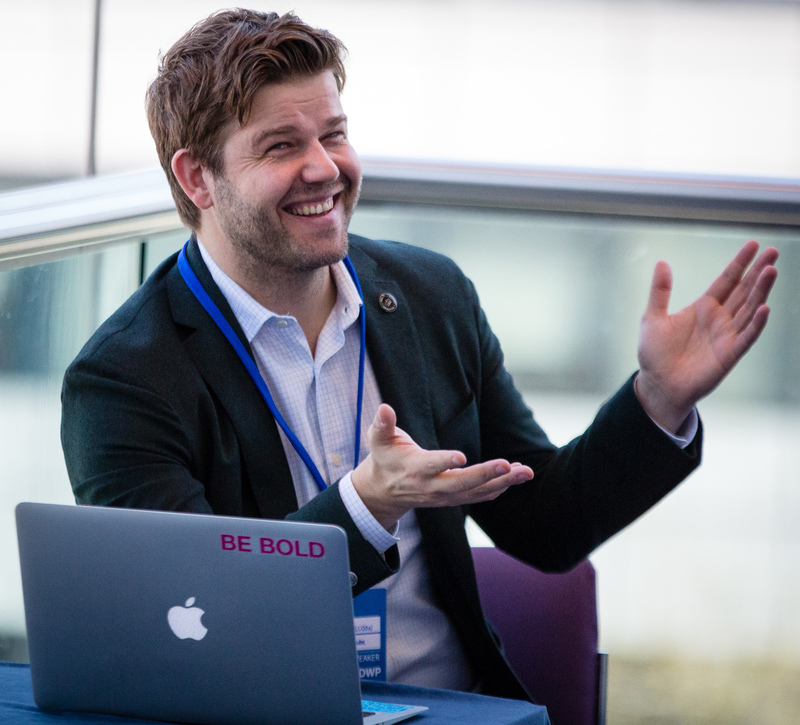 The real value of these events is not just from the presentations, it’s from the opportunities to talk and mix with colleagues and build new perspectives. We made sure to set aside a significant portion of the day to breakouts and “show and tell” sessions. In each breakout a Home Office lead was joined by a colleague from a different department to run an energetic and interactive session. 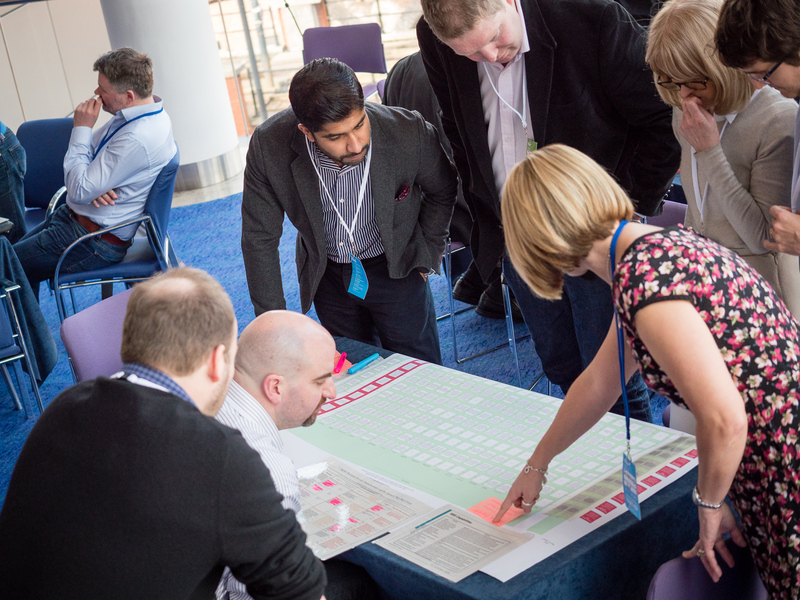 We invited attendees to vote with their feet and join the group of their choice as we delved into Identity, Data Management, Government for the 21st Century, and Effective Governance for Agile Delivery. I’m always struck at how many of us face similar challenges and how solutions become apparent simply by discussing problems in a different team. Over lunch the Home Office Biometrics Programme shared their work via a “show and tell” session. For the final session we came back together as a group and heard from Kevin Cunnington and Chris Ferguson as they replayed some of their presentation from Sprint 16 and reminded us that the original rallying cry of GDS is as relevant today as it was four years ago – “It’s (still) about creating simpler, better public services”. They finished on a note perfectly reflected by the day’s conversation and activities – “Transformation is a team sport”. I took to the stage once again to wrap-up the day and thank all the presenters and organisers of an inspiring and thought-provoking event. Only by Transforming Together will we deliver on the vision shared by Minister for Cabinet Office Matthew Hancock MP at Sprint 16 of “transforming the relationship between citizen and state”.